(CHICAGO, June 12, 2012) – The University of Chicago has been awarded a $400,000 grant to help fund programming for a new mixed-use arts facility that will open on Chicago’s South Side this fall. The grant is one of 47 awarded nationwide by ArtPlace, an organization that works to accelerate creative placemaking across the U.S. 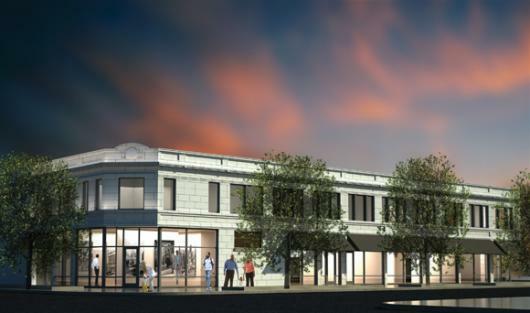 The Washington Park Arts Incubator, a project of UChicago’s Arts and Public Life initiative and renowned artist Theaster Gates, is intended to serve as a catalyst for revitalization in the city’s Washington Park neighborhood. The mixed-use arts facility will provide space and opportunities for local artists to collaborate with one another and the surrounding community, including UChicago students and faculty. The development of the incubator is part of broader arts and community engagement efforts by the University’s Office of the Provost and the Office of Civic Engagement. "Across the country, cities and towns are using the arts to help shape their social, physical, and economic characters," said Rocco Landesman, Chairman of the National Endowment for the Arts, which is part of a national collaboration that makes up ArtPlace. "The arts are a part of everyday life, and I am thrilled to see yet another example of an arts organization working with city, state, and federal offices to help strengthen and revitalize their communities through the arts. It is wonderful that ArtPlace and its funders have recognized this work and invested in it so generously." ArtPlace is a new national collaboration of 11 major national and regional foundations, six of the nation’s largest banks, and eight federal agencies, including the NEA. To date, ArtPlace has raised almost $50 million to work alongside federal and local governments to transform communities with strategic investments in the arts. The Washington Park Arts Incubator will be an adaptive reuse of a two-story, 15,000-square-foot, terra cotta building that dates to the 1920s. The building is currently being renovated, and UChicago expects the facility to open in fall 2012. “We look forward to the inauguration of the arts incubator, and to working with our community partners to realize the potential that ArtPlace and the University see in this project,” said Larry Norman, UChicago’s Deputy Provost for the Arts and a professor in Romance Languages & Literature, Theater & Performance Studies and the College. The arts incubator was conceived by artist Theaster Gates, Director of UChicago’s Arts and Public Life initiative. Gates hopes the incubator will become a national model for how urban universities can make the arts an integral part of economic and community development. "It is important to the cultural life of our cities, and especially often neglected neighborhoods, that artists, the philanthropic community and civic institutions invest deeply in the infrastructure necessary to produce culture,” Gates said. “This partnership with ArtPlace will allow Arts and Public Life to add real value on Chicago's South Side." The University of Chicago is one of two Chicago organizations funded by ArtPlace in 2012 and among the 47 creative placemaking initiatives nationwide supported by the collaboration this year. Hubbard Street Dance Chicago is the other Chicago recipient, with a grant of $165,619 to support a unique program to use dance as a learning platform for collaboration with early-stage technology companies at 1871, the city’s newly created tech center. ArtPlace received almost 2,200 letters of inquiry from organizations seeking a portion of the $15.4 million available for grants in this cycle. Inquiries came from 50 states, the District of Columbia, Puerto Rico, American Samoa, U.S. Virgin Islands. In September, ArtPlace will release a new set of metrics to measure changes over time in the people, activity and real estate value in the communities where ArtPlace has invested with its grants. A complete list of this year’s ArtPlace awards and the collaborating organizations can be found at artplaceamerica.org.